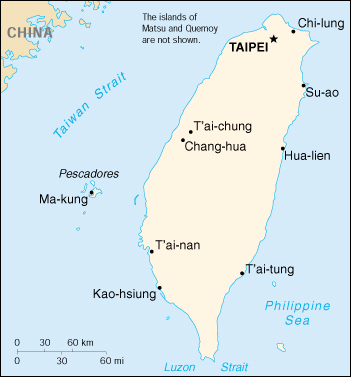 Taiwan, officially called the Republic of China, is found in East Asia. It is a mountainous island with a high population density. The capital and largest city is Taipei.